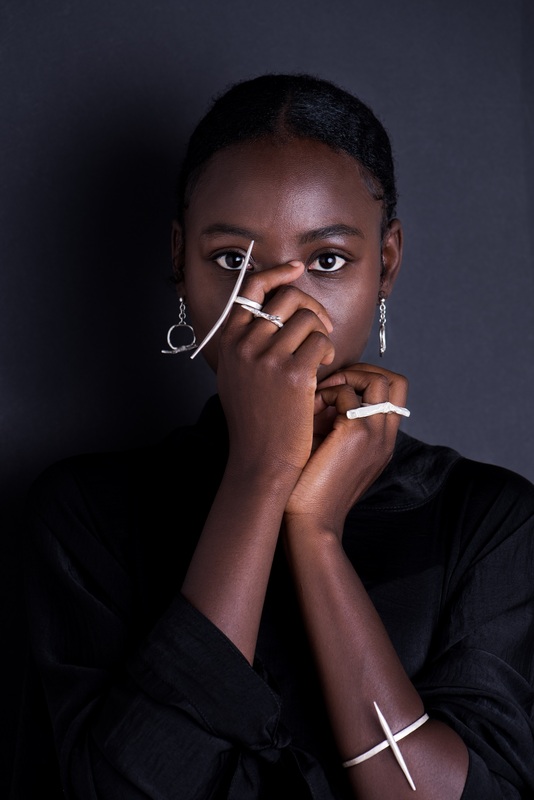 After studying jewellery and fashion in Florence, rising young artisan Ashleigh McCulloch has launched her own designer brand of jewellery that not only straddles the continental divide between Italy and her home-country, South Africa, but also toggles between art and accessory. Her hand-crafted pieces are sold in upscale galleries and artisanal stores anywhere from Florence to Fresnaye – and online – and she herself divides her time between Cape Town, Johannesburg and Italy. McCulloch’s choice to keep one foot on the ground in the city of Michaelangelo’s David, is tied to the thriving artisanal jewellery culture that exists there and the ease with which this context enables her to meet the technical and aesthetic demands of producing her sculptural pieces. Her distinctive jewellery is wrought in a signature language that defies commercial trends and the commonplace. One of the reasons she became a metalsmith in the first place is that she could never find the kind of jewellery she wanted to wear, so she resorted to making it herself. The twenty-seven-year-old McCulloch has called her brand Monastery, which is a fitting umbrella name for her various collections of pieces that pay homage to ancient spirituality – they are monastic in this sense only. Other concerns in her work include nature and its influence on the metalsmithing process; and the centuries-old esoteric and philosophical tradition of hermeticism. Monastery pieces “are intended to be mythic, raw heirlooms crafted with slow, meticulous care,” the designer says. This is indeed evident in the raw power of her pieces, which, while they exude contemporary appeal, seem to carry the weight and wisdom of antiquity. McCulloch smiths in silver, gold and bronze and occasionally incorporates found objects and beadwork. She often upcycles precious metals by reworking found pieces. 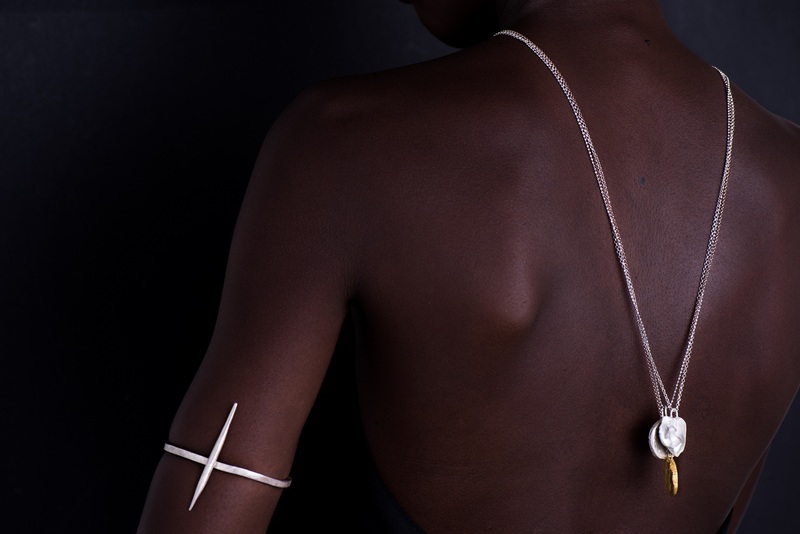 She crafts an assortment of neckpieces, necklaces, pendants, earrings, bracelets and rings that are all thematically linked, profoundly expressing an almost meditative contemplation of the ages. Her work has the characteristic appearance of seeming intentionally unfinished, and reflecting a pure or raw state. “When I make jewellery, I let the materials behave as they are and as they choose to. I am not interested in making controlled objects but just intervening enough to guide the flow of molten silver in a general direction,” she states. The result is a body of potent and beautiful statement pieces that will defy time and trend to remain infinitely wearable. Monastery is available online via www. https://monasteryjewellery.com and is stocked at Bjork Gallery in Florence, Italy and Haas in Cape Town, South Africa, among others.